I have such an awesome treat to share with you today! After receiving requests for the grilled lobster recipe my husband made for me on Mother’s Day a couple weeks ago, I knew we needed to make it again and get the process down in writing. 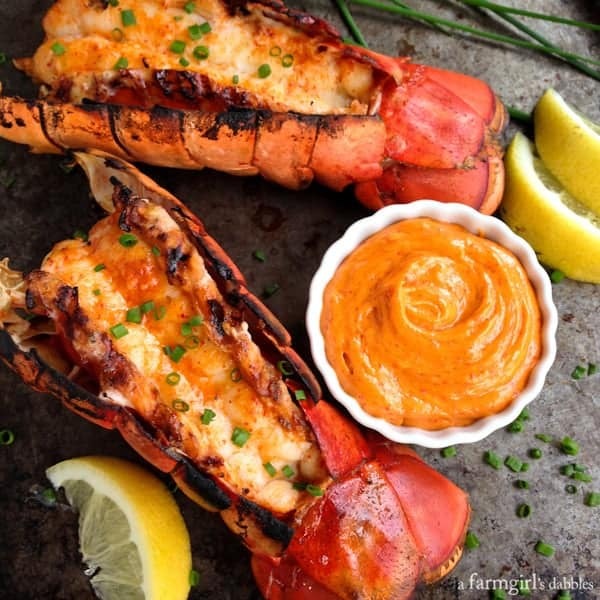 These Grilled Lobster Tails with Sriracha Butter are nothing short of awesome! I’m sharing the recipe today over on my friend Joanne’s site, Fifteen Spatulas. 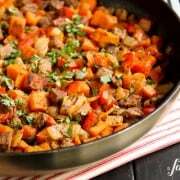 If you haven’t already met Joanne, I know you’re going to love her and all of her delicious recipes. 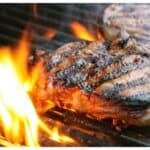 Hop on over there with me and let’s say hi to Joanne and get a new recipe for the grill! Grilled lobstah makes me swoon. This is so not going to happen at my house. Lobster tails just aren’t that easily gotten here in my town. Once in a while it happens. I would have thought I had entered the gates of food heaven, if this showed up even on a restaurant menu. Sigh. 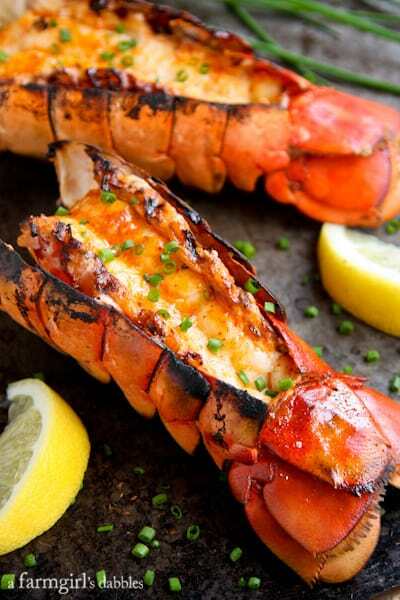 Lobster tails never looked better! OMG, this looks and sounds wonderful. What a great tradition your husband has started – you deserve to be spoiled with lobster! These lobster tails look amazing Brenda (and Blake too)! Maybe I should visit you again on Mother’s Day???? Happy Birthday dear daughter. Happy Birthday and keep sending the great recipes and your life’s little diary! It gives me a kick without even drinking a Mt. Dew!!!! 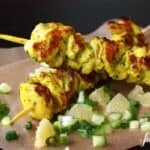 It is so wonderful to have this recipe on Fifteen Spatulas today. Thank you Brenda! And happy birthday!!!!! You had me at sriracha butter! Pinned! I love lobster tails but haven’t grilled them before. Great idea. I love that sriracha butter! This looks so delicious…what a fabulous idea! Love it…thanks for sharing! Sriracha Butter? OH MY! Hopping over to Joanne’s now! Well, hello summer! These look absolutely spectacular! Oh my gosh!! These are my favorite and they look incredible!!! Headed for the recipe now!